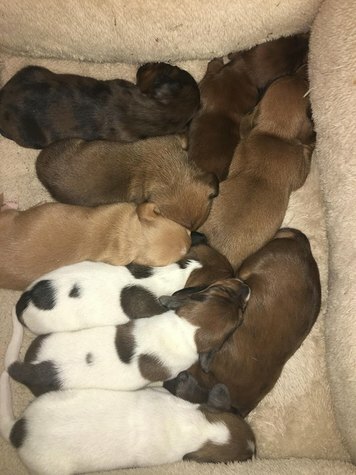 9 Mini dachshund pups looking for homes around January 19th. They will come vet checked, dewormed, first shots, and delivered. They are home raised in a busy home with other animals and will be well socialized, ready for loving homes. They should grow to be between 10 to 13 pounds. If you are interested or have any questions feel free to send me an email and I will get back to you right away.